Windshield cracks are so annoying and the worst part is you have to get it repaired as soon as possible to avoid crack widening and full replacement. Besides looking ugly, the crack could be unsafe for you. When your car gets a cracked or damaged windshield you become more vulnerable to accidents and could end up getting injured. The windshield holds a lot of significance because it belongs to the vehicle’s structural integrity and safeguards occupants at the time of accident. If your vehicle has smaller chips, you can easily get it fixed by a good auto glass expert. But in case of huge chip or crack you have to get the entire part replaced. You can find numerous options for Windshield Repair in Orange County but not many of them offer mobile services. With over two decades of experience, we are a top notch auto glass repair facility in Orange County serving the windshield related needs of people satisfactorily. 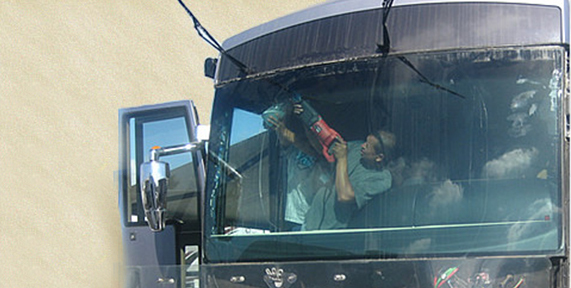 Broken RV windshields are not a problem for us, and we can help you out in that. It is very difficult for people to find the suitable RV replacement glass, but we make it easy by not just providing the glass but also free mobile service. Just contact us and our experienced team will reach you within two hours. We believe in providing nothing but the best and focuses on supreme customer service, best-in industry materials, and on time service to give you the best experience.